Chinese New Year falls on February 5 this year as people welcome the year of the Pig. Food is certainly a big part of my Chinese New Year celebrations, and many sumptuous meals are eaten with family and friends. 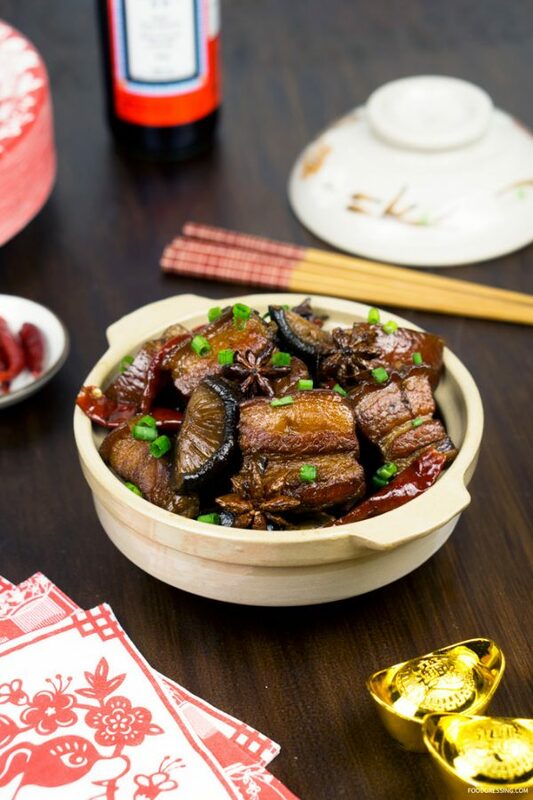 With ingredients from Superstore, I was able to create the popular Chinese dish, Red-Braised Pork Belly, but with a spicy twist. I also added Chinese Mushrooms for some delicious, earthy flavours. Disclosure: This original post was sponsored by Superstore. 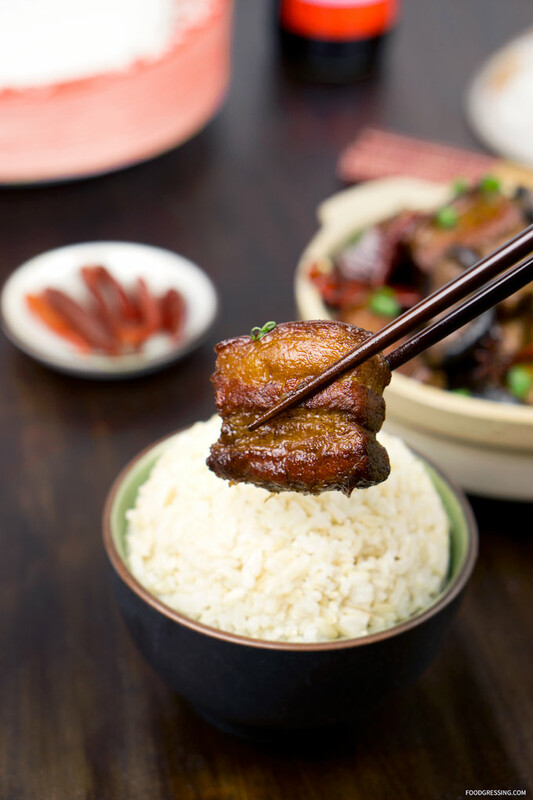 The signature red colour from this recipe is from cooking the pork in a sweet-and-savoury sauce made with caramelized sugar and soy sauce. In Chinese culture, red is the colour of fire and is a symbol of good fortune and joy. 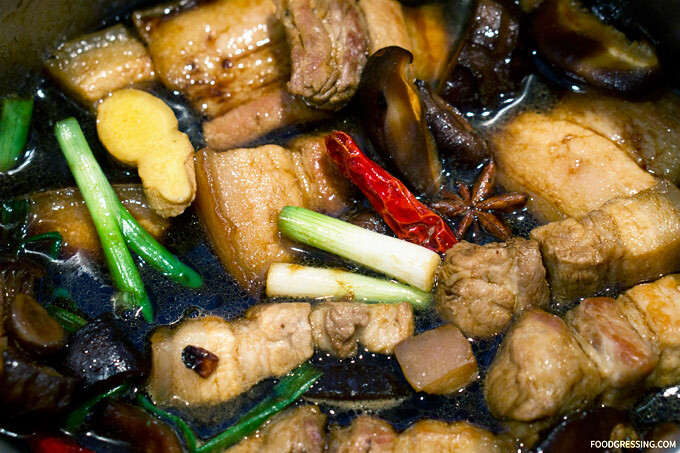 Cooking the pork with star anise, Chinese Mushrooms, and dried chilies…The red colour in the meat develops over time. And here it is, the final dish with a beautifully red-braised pork belly! Wishing you a delicious and lucky Year of the Pig! 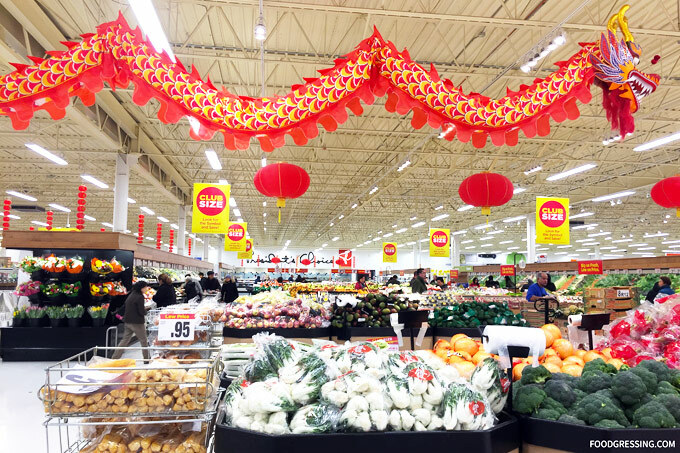 For more ideas on where to celebrate Chinese New Year in Vancouver, visit my post here. 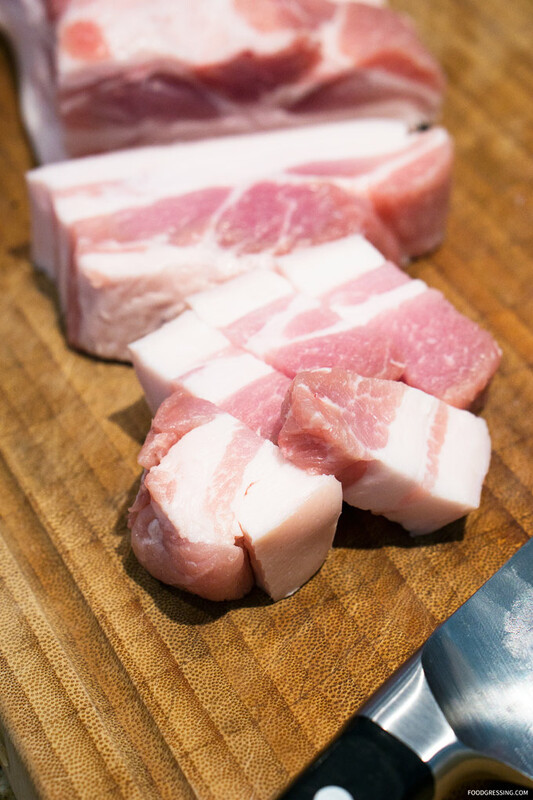 Cut skin-on pork belly into 1/2 to 1 inch cubes. Place cubes into a non-stick pan and fry on medium/high heat until all sides are golden brown. Add 1 tablespoon of vegetable oil and 2 tablespoons of sugar in a wok or a large sauce pan on medium heat. Allow sugar to caramelize and turn brown. Add pan-fried pork belly, soy sauces, onions, ginger, star anise, and peppers. Add small amounts of water to cover most of the pork pieces. Cook on medium/high heat until boiling. Taste the broth/sauce and adjust accordingly. Then continue to cook on low heat for 1-2 hours till pork skin is soft and gelatinous. Holidays means family, sharing and delicious treats. This week, I made a salted caramel sauce (for the first time) with Natrel butter and whipping cream. 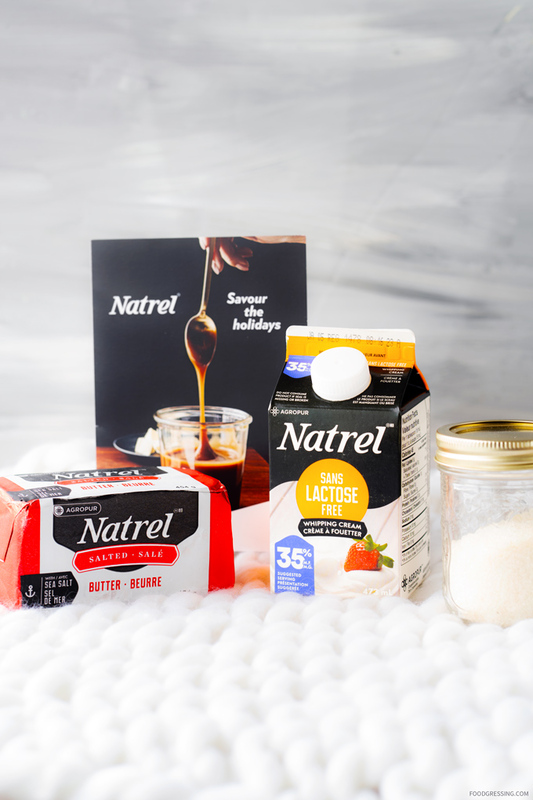 It involves just three ingredients: cane sugar, Natrel salted butter, and Natrel lactose-free whipping cream. Disclosure: I received media samples from Natrel. For dessert, I drizzled it over a double-chocolate brownie topped with vanilla ice cream and a mini gingerbread man. 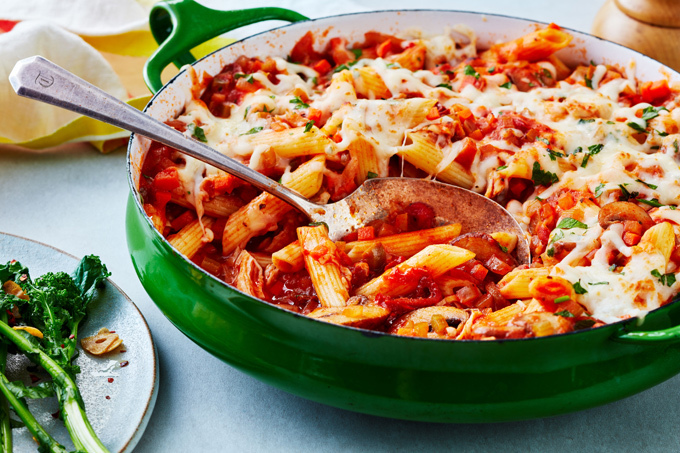 Pretty simple, delicious and easy to put together. 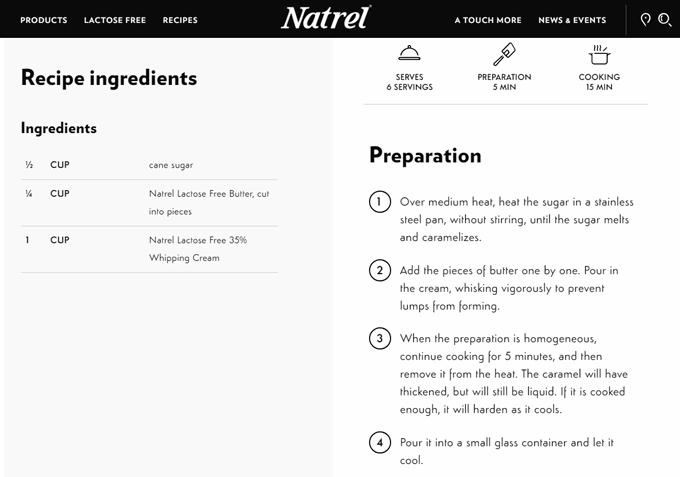 You can find the recipe on Natrel’s website here. 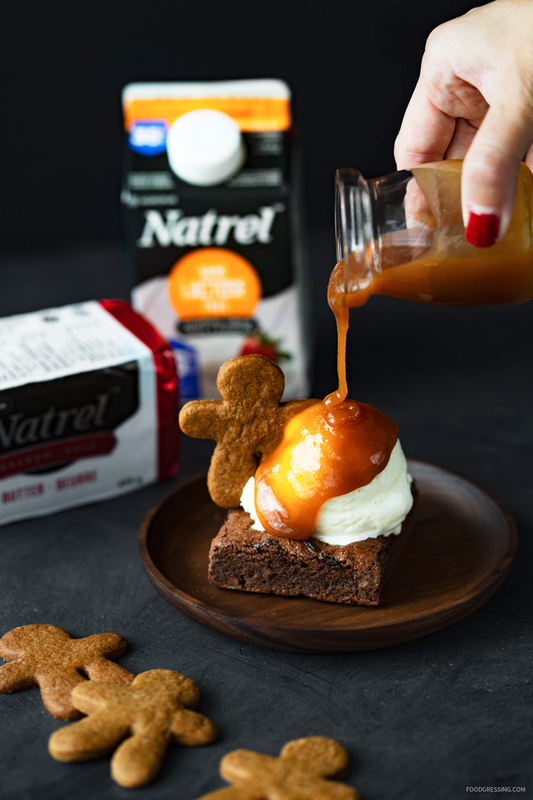 How do you like to enjoy a buttery, salted caramel sauce? With the holiday season officially upon us, it’s time to start thinking of creative ways to entertain friends and families. 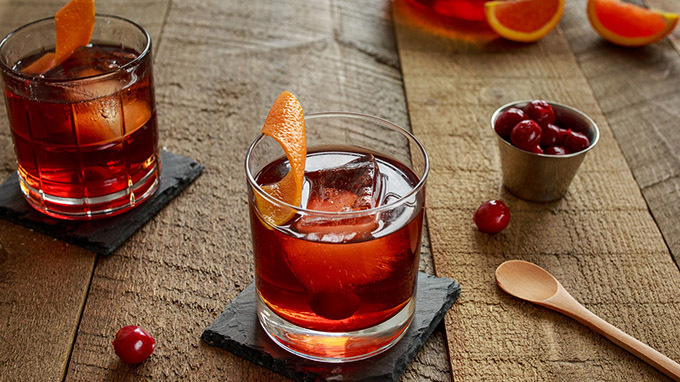 Here are some holiday cocktail recipes featuring Quartz Vodka. 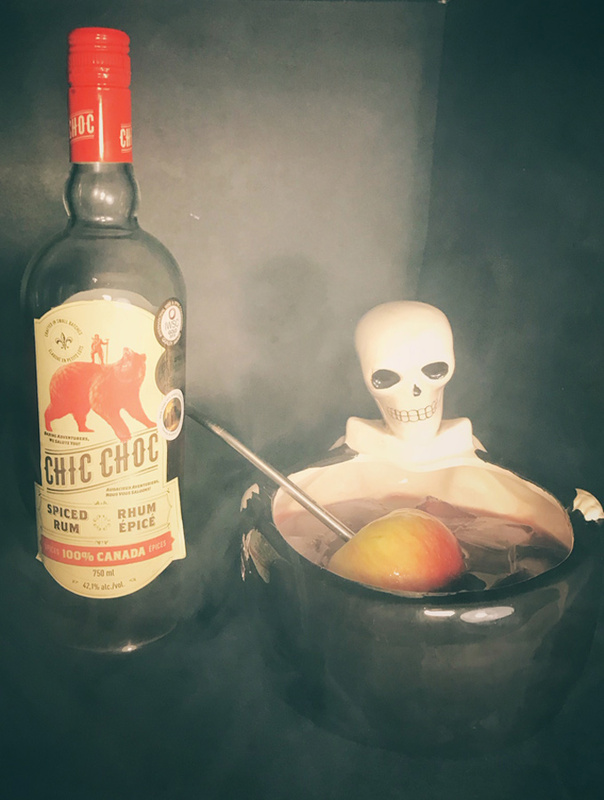 As Halloween is just around the corner, here are some cocktail ideas featuring Chic Choc Spiced Rum. 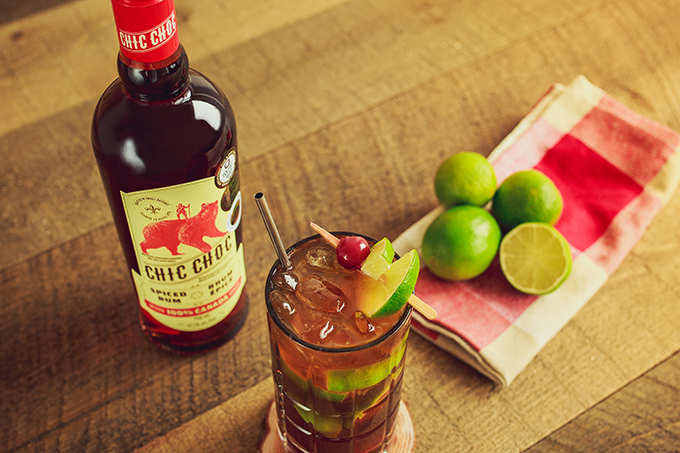 With its deep amber colour and tempting aromas, Chic Choc Spiced Rum is the first Canadian spiced rum crafted with a unique blend of 100% Canadian indigenous spices. Straight from the Chic Choc mountains on the Gaspé Peninsula of Quebec, this blend of aged rum is the perfect flavour for fall recipes. Mix 1 oz. Chic Choc Spiced Rum, 1 oz. 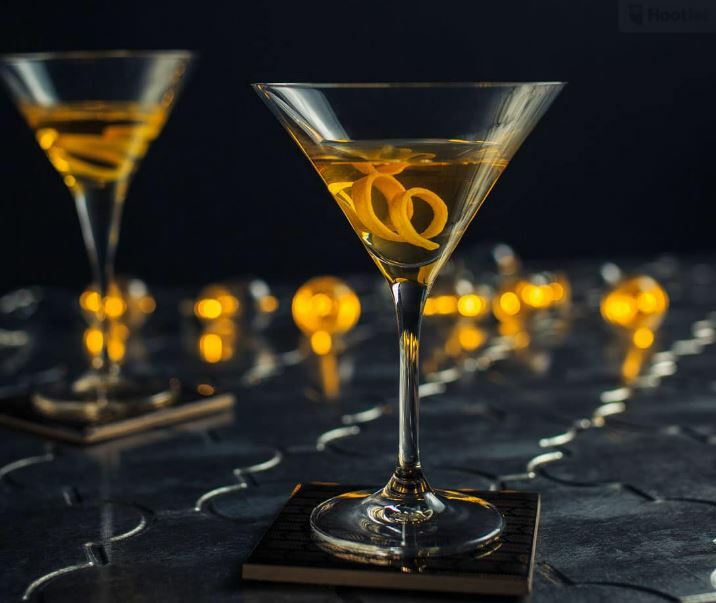 Sweet Vermouth and 1 oz. Campari in a glass. Add candied floating eyeball as a garnish, then serve. Combine 1 oz. Chic Choc Spiced Rum and 1 oz. Kahlua. Top with 1 oz. of espresso, then serve. Combine 2 oz. Chic Choc Spiced Rum, ¾ tbsp. lime juice, and ¾ tbsp. cinnamon apple syrup. Garnish with Angostura spray and a dehydrated apple slice with cinnamon sprinkled on top. 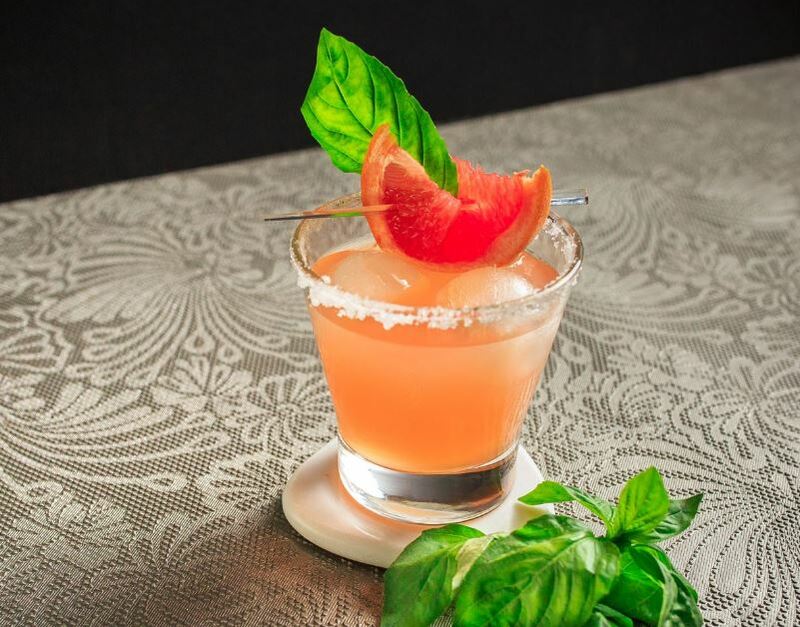 This drink can be served in a small punch bowl with dry ice. Happy Mid Autumn Festival, everyone! The Mid Autumn Festival is celebrated on 15th day of the 8th month of the lunar calendar and this year’s celebrations start on September 24. It’s a time of harvest and reunion when family and friends gather together to enjoy the full moon and to eat a special treat called mooncakes. 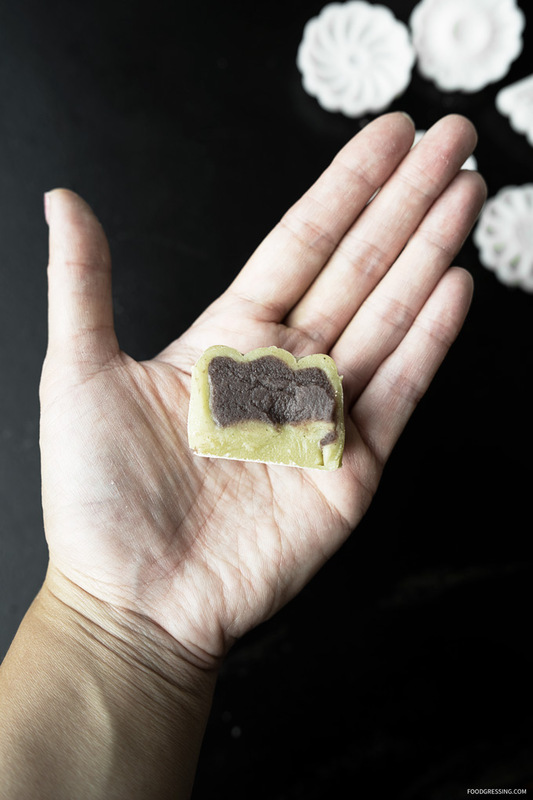 Mooncakes resemble the full moon and are typically filled with ingredients such as egg yolk, nuts, lotus seed paste and various kinds of bean paste. This year, I decided to try to make my own mooncake and went with my two favourite Asian flavours: matcha and red bean. 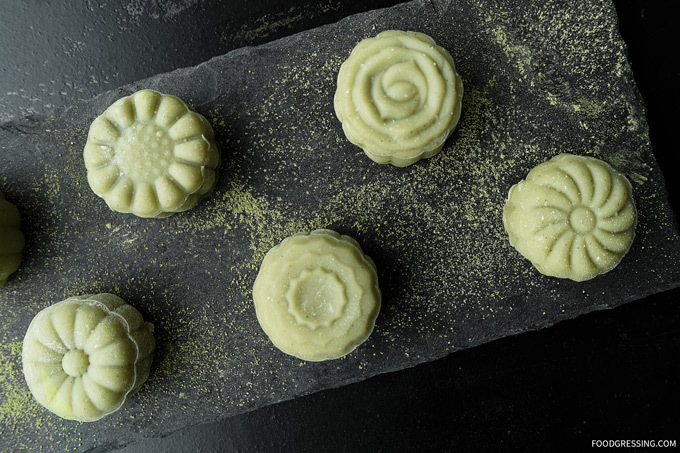 Here’s a look at how to make Matcha Snow Skin Mooncakes with Red Bean Filling. 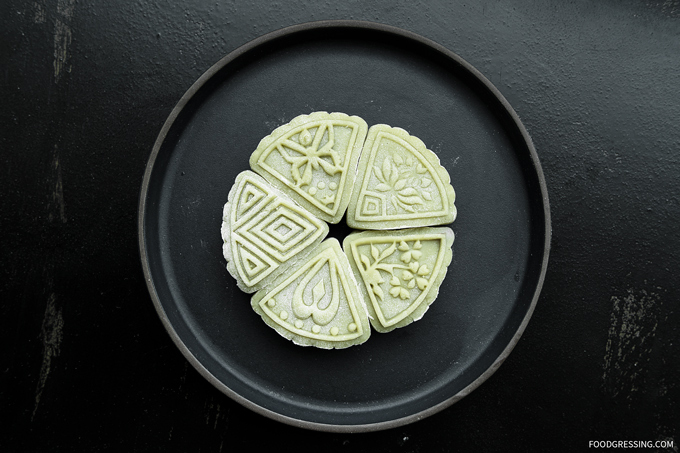 Snow Skin mooncakes are no-bake versions of traditional mooncakes and are served cold. You’ll find that the outer skin is quite like mochi because both are made with glutinous rice flour. 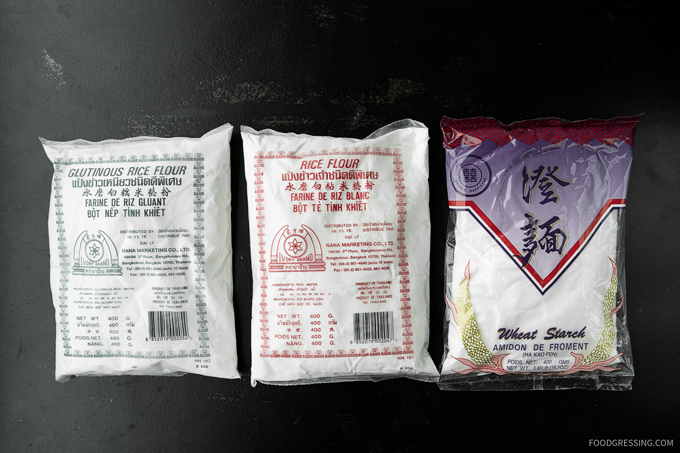 The three flours needed to make Snow Skin mooncakes are: glutinous rice flour, rice flour and wheat starch. 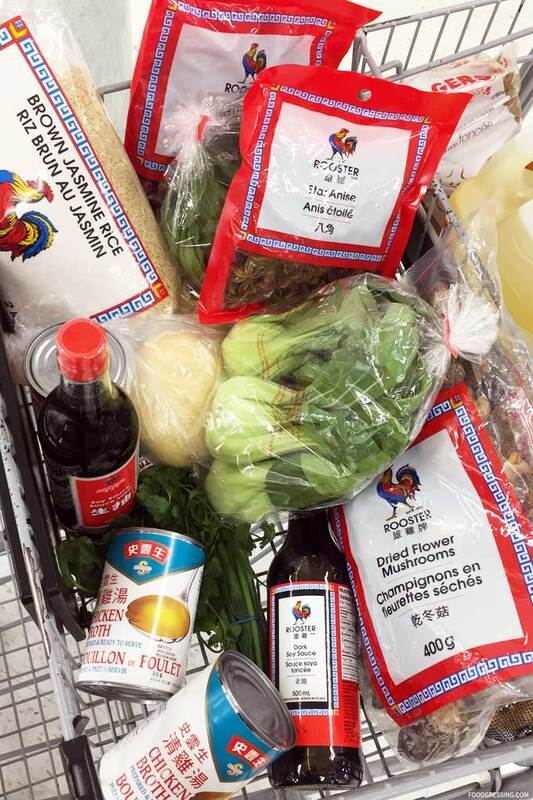 I was able to buy all of these at my local T&T Supermarket and these products are very affordable being around $1 per bag. For the red bean paste, you can get uncooked red beans from T&T or you can even find cooked red bean paste there in the refrigerated section. 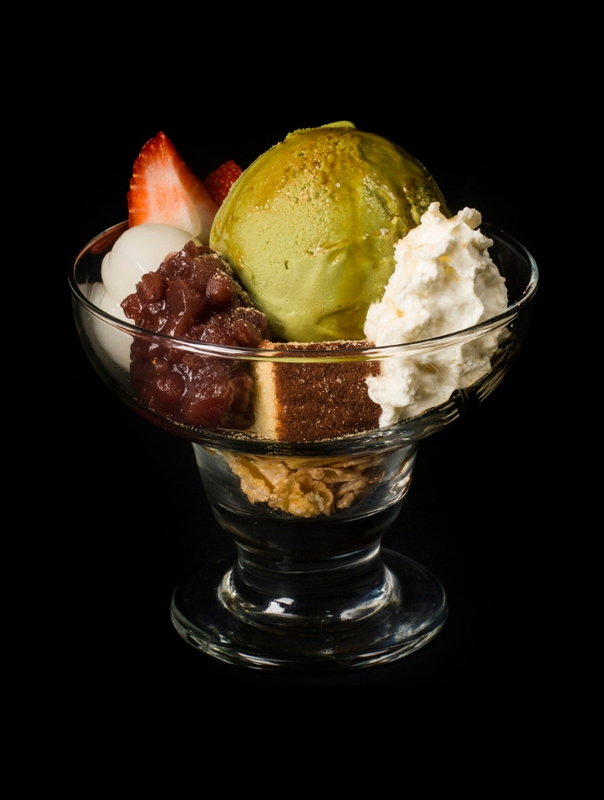 I used matcha powder from Tea Parky but you can get it from a local tea merchant or online. The mooncakes I made are also lactose-free as I used Natrel 3% lactose-free milk. I purchased a 2 Set Mooncake Mold Press from Amazon which makes mooncakes that are either round or wedged and weigh about 50 g each. The set was expensive being $21 CDN but I bought it anyways in order to make the mooncakes in time for the Mid Autumn Festival. The cheaper route would be to buy them on Ebay where sets could be as cheap as $3 – $5 but you would need to buy them several months ahead of time since it takes a while for those products to ship from China. 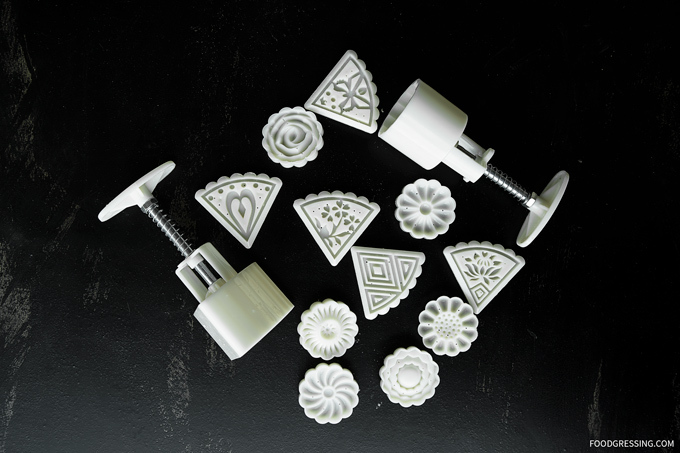 As for this mooncake mold kit, I found the round mold worked better than the wedge one. The round mooncakes came out cleaner while the wedged shaped mooncakes were not as perfect around the sharp corners. 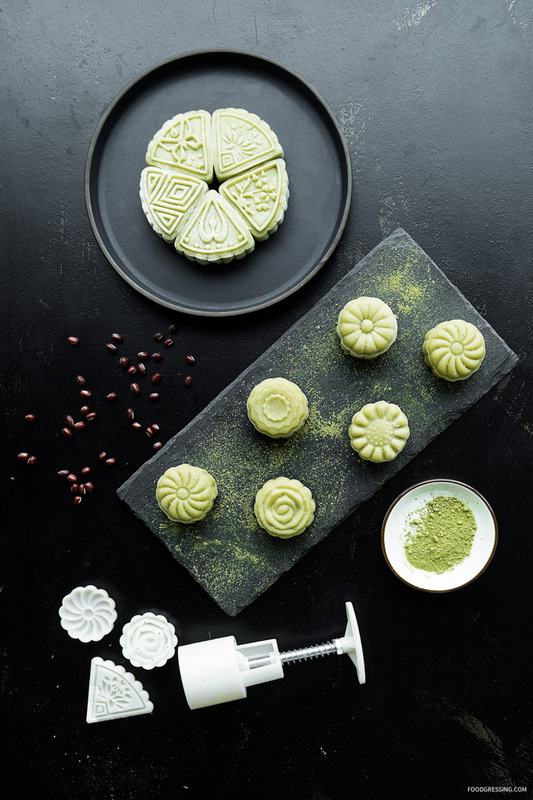 When I researched online for recipes on how to make matcha snow skin mooncakes, I was overwhelmed with the different recipes and methods. However, there were two recipes that I found that best explained the process and both recipes were very similar to each other. Both posts have videos to demonstrate the process which was helpful for me. When I was making my own mooncakes, I referred to both recipes for the wrappers. however, I found was that with my own ingredients and process I made less than what was noted in the recipes. 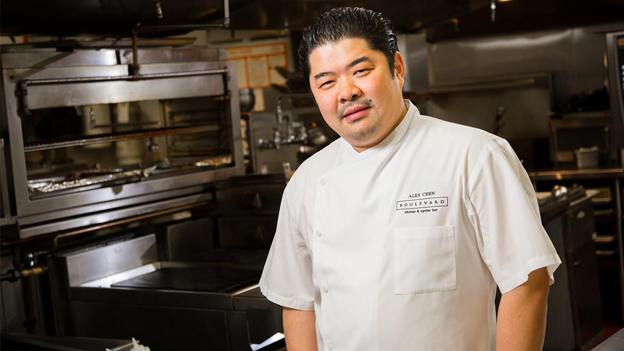 As for the red bean paste, check out this recipe by China Sichuan Foods. 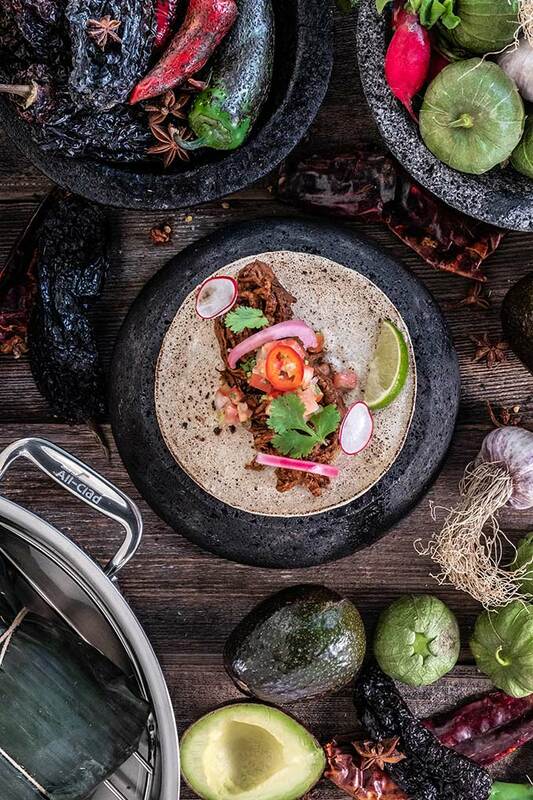 When I made it, I was just going by feel but essentially you need to soak the beans overnight, blend them to a consistency that you want (smooth, chunky) and then I slow cook the mixture on the stovetop to dehydrate it and get it to a paste-like consistency. You also add sugar to your liking. 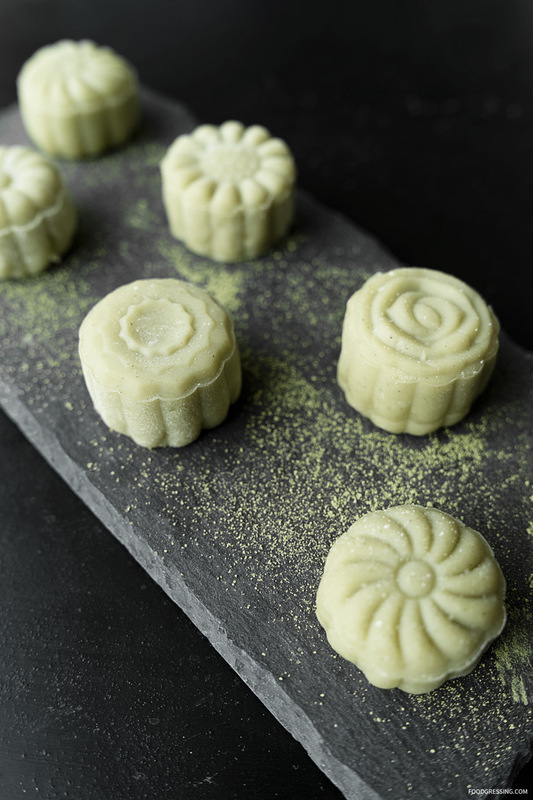 All in all, it was a fun and easy process to make these Snow Skin Mooncakes. Next year, I’ll have to experiment with other flavours and combinations. Until then, happy eating! Roasting garlic mellows the sharpness and enhances its natural sweetness, giving this rich dip an addictive caramelized flavour. Be sure to wipe out your food processor after pulsing the frozen greens, as any leftover bits in the bowl will tint the cream cheese mixture. Serve with flatbread, sliced vegetables or your favourite PC crackers. 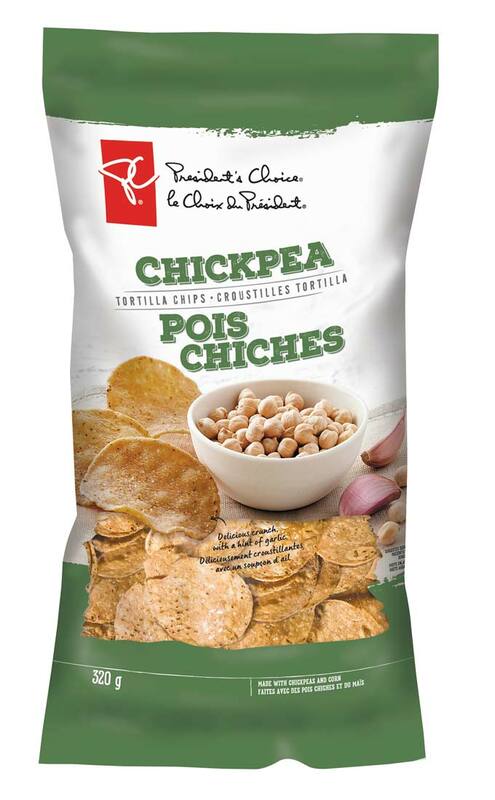 The PC® Chickpea Tortilla Chips combines two favourite snacks – tortilla chips and hummus – are fused into one incredible flavour combination. 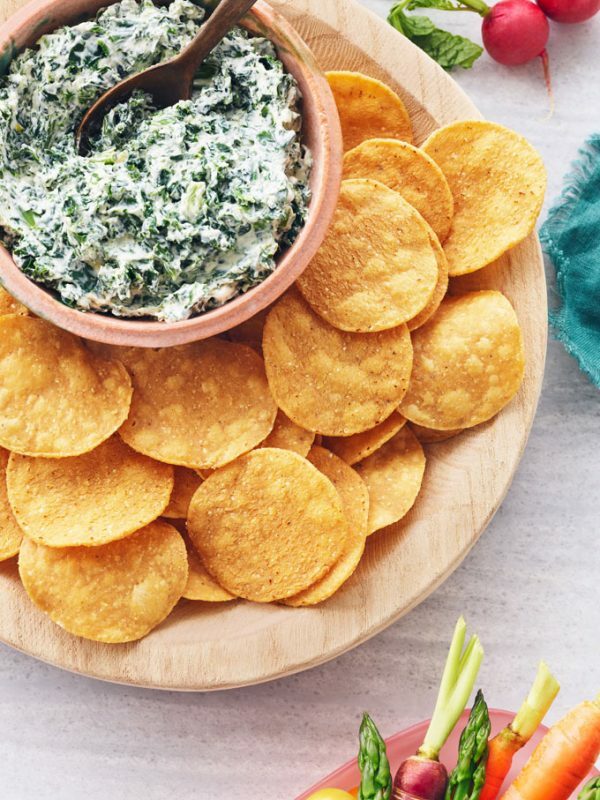 Made with chickpeas, and stone ground white corn, these extra crispy round chips have delicious crunch with a hint of garlic. They’re amazing as is or dunk into the creamy roasted garlic and greens dip. Preheat oven to 425°F (220°C). Trim top of garlic head to expose cloves. Arrange, cut side up, in centre of 10-inch (25 cm) square of foil; drizzle with oil and sprinkle with pinch salt. Fold foil over and seal edges to make packet. Place on baking sheet. Bake until tender and golden, about 45 minutes. Unwrap; let cool 15 minutes. Meanwhile, pulse frozen greens in food processor until finely chopped. Scrape into fine-mesh strainer set over large bowl. Set aside. Wipe out food processor. Squeeze garlic cloves into food processor. Add cream cheese, sour cream, lemon juice, black pepper, cayenne pepper and remaining salt; pulse just until smooth, stopping to scrape down bowl if necessary. Transfer to separate large bowl. Press on greens with back of spoon to squeeze out liquid; discard liquid. Stir greens into cream cheese mixture until well combined. Chef’s Tip: To soften cream cheese quickly, cut into cubes and arrange in a single layer on a plate. Let stand at room temperature until soft enough for your finger to make an indent in the cream cheese when gently pressed.